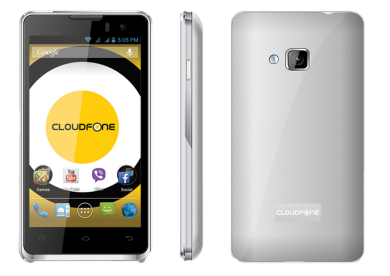 CloudFone has just released its dual battery smartphone, a 4-inch screen with quad core processor. 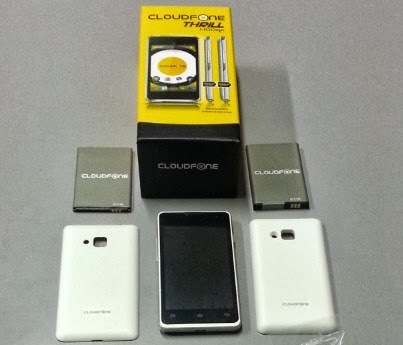 Common specs with uncommon innovation, CloudFone Thrill 400qx lets you swap battery at a glance, and oh! Not just the battery, but the back plate as well, choose the high capacity 3000mAh and you'll get a bulky phone, or choose slim with only 1450mAh capacity. Still, battery is just a part in choosing the best smartphone, consider the processor, RAM, and GPU, for Cloudfone Thrill 400qx you'll just get a so-so specs, why? The GPU is quite old (Adreno 203), and the RAM doesn't fit for multitasking, but 512MB should probably run most app and games. Priced at Php5,999 (SRP), available now in the Philippines nationwide on CloudFone Stores, Kiosk, Online stores, and authorized dealers.